One of Bralo’s commitments is to find a way to satisfy our customers’ needs for special products. If your assembly line requires a particular combination of standard components together with products with a special implementation or with a special assembly scheme, our technical department will fully support you in your specific needs and will work with you to your satisfaction. We design for you special parts and products from your drawings –we offer a wide variety of materials and manufacturing methods. We invite you to benefit from our experience in fastening solutions to reach the highest levels of quality and efficiency in your processes and products. Countless sizes: lengths and diameters, flange dimensions, grip ranges, etc. Infinite types of head for rivets and insert nuts: dome, countersunk, large and super large heads, among others. Great variety of materials: steel, stainless steel, aluminium, copper, non-ferrous metals, special materials. Surface treatments and coatings: polished, lacquered, galvanic zincation and nickel alloys, chrome, burnished, phosphate, anodized and passivated, treatments with zinc particles, organic treatments, sealing treatments. Different finishes: lacquered, frosted, milled (CNC/HSC), rectified and turned, cutting or rolling coils, drum polishing, sandblast, erosion, assembly, etc. 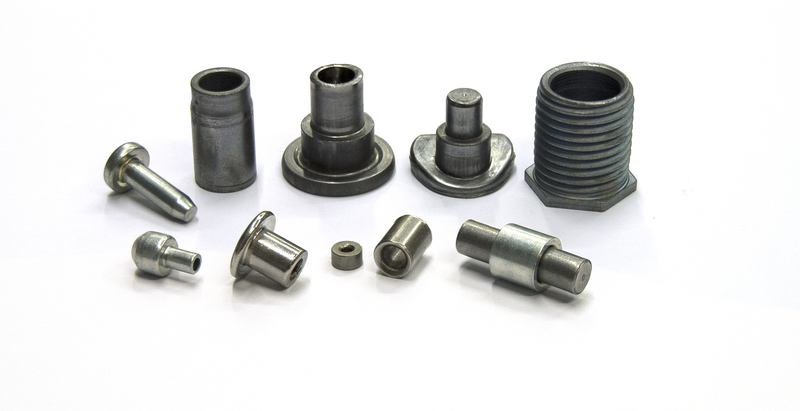 Apart from fastening solutions, we also manufacture special cold forming parts for a wide variety of industries such as renewable energies, electrical appliances manufacturing, construction, furniture or automotive. Nails, threaded inserts, washers…. our technical department will analyse the feasibility of any product that it is not in our product range.